First, if voting is so great, why we do have to be constantly harangued, bullied, hectored and bribed into engaging in this marvelous activity? Why do only half or less of the population vote in any given election? Let’s ask the question a different way. What percentage of kids fail to show up when Mom says, “breakfast is ready”? They show up because they expect to receive a major benefit from showing up, especially when weighed against the minimal costs of running downstairs and grabbing a chair. We have our answer. Most people either don’t vote or do so out of habit or inertia and with little enthusiasm because they realize that the marginal benefit of doing so is so close to zero that only a mathematician could tell the difference. The media love to tout the occasional close race decided by a few votes, however, these are rare and it is rarer still when a different result would have resulted in any real impact on the voter’s life. From the standpoint of pure logic, voting is not rational for the individual. 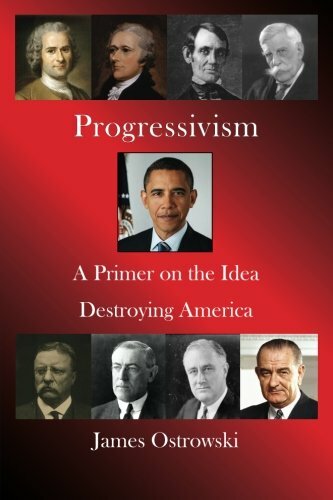 Progressivism: A Prime... James Ostrowski Best Price: $6.80 Buy New $11.49 (as of 10:40 EDT - Details) Let’s say it takes only a half hour to vote and let’s say you drive three miles round trip to do so. Surely, the average American’s time is worth at least $20 per hour. The cost of driving your car for three miles is about $1.50 and that does not even factor in the risk of getting into an accident on the way or being victimized by a crime. Thus the economic cost of voting is, on average, at least $11.50. Looked at another way, there are many valuable things you could do in a half an hour if you did not vote: take a nap, walk around the block, read an article by Murray Rothbard or listen to a Tom Woods podcast. It makes little sense to pay these costs for an activity whose marginal benefit is effectively zero. This is precisely why they are constantly begging us to vote. Second, the propaganda is aimed at those who are the most ignorant and least concerned citizens. How are their votes going to add to the quality of the result? While awaiting that answer, I will move on. Let’s analyze the statement: “you should vote.” There are a number of elements in that exhortation: the speaker, the voter, the act of voting, the candidate and their platform. The Speaker. So someone you don’t know tells you to vote. Say what? First, I want to know what their agenda is. No one ever asks. It is safe to assume though that the speaker has an agenda they believe will be advanced if the targeted audience votes. Alas, the poor prospective voter is not informed about the hidden agenda. In any event, the speaker does not know you or what your political predilections are. If those urging you to vote really cared about you, they would try to find out why you don’t vote and respond accordingly. Some people don’t vote because they view it as a waste of time. Some people don’t vote because what they want is not on the menu! There may be other reasons as well. Some people don’t vote because they don’t want to be seen as endorsing a system of centralized coercion they view as evil. Asking a philosophical non-voter to vote is like inviting a vegan out to a steakhouse. The vote police do not appear to really care about non-voters and their welfare and why they don’t vote. Rather, they are pursuing their own agenda and hiding it from the non-voters. That is why they urge people to vote even though many of these people oppose the agenda of any candidate likely to win. Hence, they are being manipulated to provide a faux consent to policies and candidates they explicitly oppose. The non-voter is being conned by the vote police. The Voter. Why are we urging every citizen to vote? Do they know anything about policy, economics, foreign policy, etc. Given the obvious decline in schools and colleges in the last few decades, this may be the most ignorant populace since the founding of the Jamestown colony in 1607. It’s worse than ignorance though as the false ideologies of progressivism and leftism have been drummed into our youth for many years. That is our fault not theirs but it is true nevertheless. It makes no sense to urge ignorant, gullible or easily manipulated people to vote. It makes no sense to urge greedy people to vote when they will simply vote for those who promise to give them the most free stuff by taking it from the productive sector of society. It makes little sense to urge people to vote who favor putting those they hate into concentration camps or dropping nuclear bombs on them. Thus, the notion that we would all be better off if everyone voted is obvious nonsense. The Candidate. The person you vote for is not your agent and once elected, you will have zero control over him or her. The use of the term “representative” creates confusion on this point but it remains true that whatever you call elected officials, you do not control them. Worse yet, in almost all cases, elected officials do not even know you other than a quick hello for some local officials. They know nothing about you and in the case of the most important officials, will not take your phone call unless you a heavy donor. The candidate has no idea why you voted for him, whether it was because of character or issues, and if issues, which ones, or whether it was a protest vote against the other candidate. Thus, it is impossible for him to represent your true intentions in any meaningful way. Since you don’t control candidates in any way, you can’t hold them to their campaign promises, assuming they made any that were specific. Many candidates run on bland platforms that do not even specify what they will do if elected. The exceptions prove the rule. Ron Paul comes to mind as a candidate who reliably did in office what he said he would do when running. It’s a very short list. 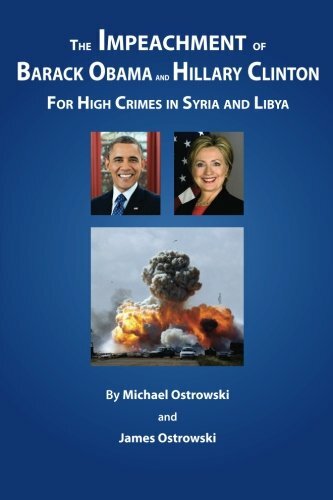 On the other hand, the list of candidates who betrayed campaign promises even on major issues such as war and peace is very long, for example, Wilson, FDR, LBJ and both Bushes. The Platform. I have already alluded to this issue throughout this article. What will the person you vote for actually do in office? The voter usually does not know and even if he did know, almost always lacks the expertise to determine whether the candidate’s platform will be good or bad for himself or for society. That being the case, as I have explained elsewhere, people often vote for the candidates most similar to them in race, ethnicity and religion. In lieu of spending many days, weeks or months studying the issues and the candidates or mastering the complex disciplines required to evaluate their policy stances, a large number of voters use similarity as a cheap and easy substitute for research. The assumption is that, a candidate who is like me in race, ethnicity and religion, will tend to represent my interests better than a candidate who is different from me. Therefore, democracy intrinsically leads to tribalism and conflict. Each group will attempt to limit the voting power of other groups through well-established tactics like gerrymandering, fraud, suppression, arcane registration requirements, limiting the number of polling places in the other group’s neighborhoods, and ultimately, using immigration to bolster their group’s voting power, or, on the other hand, restricting immigration for the same reason. Thus it is that democracy, which we were told was an efficient method to peacefully resolve disputes, actually leads to the type of constant conflict among groups we see played out daily on the television news. Democracy does not ameliorate conflict; it generates conflict. It does not eliminate the essential nature of the state as a violent institution; it only masks that nature. It is the nature of the state itself, as an institution that systematically uses aggressive violence, each instance of which creates winners and losers, that is the cause of escalating conflict in America. Unless we wake up, the misplaced reliance on democracy and voting as a means to resolve conflicts among individuals and groups, will lead us all the way to the brink of civil war as it has done already in other countries and in our own country in 1861!